A California man has filed a lawsuit against Sprint. Corp and Nextel of California Inc. claiming the new phone he bought for his underage son came with a set of pornographic images loaded onto it. 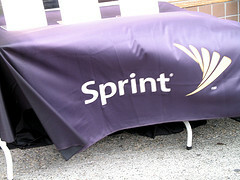 The images were allegedly of a Sprint sales rep who worked at the same store where the phone was purchased. The father filed the lawsuit this week on behalf of his son in Los Angeles Superior Court, reports CBS Los Angeles, and alleges breach of contract, fraud, breach of the implied warranty of merchantability and negligent infliction of emotional distress. On top of all that, the phone was used and not new, as the man had presumed. The lawsuit says that the man bought two phones in October 2011 as part of a service package. When he got home and opened up the phones — both of which were in new boxes complete with instruction manuals — his son was the one to find the alleged images. The images included “full-body naked as well as genital-focused graphic pictures and videos” of Sprint Nextel sales representatives, according to the suit. This isn’t the first time we’ve heard of phones coming with unwanted extras: An Georgia woman claimed in a civil lawsuit that RadioShack sold her an ostensibly new phone for her daughter that also came loaded with nudies. Next Is It Tasteless Or Totally Fine To Top A Burger With A Communion Wafer? Next Up: Is It Tasteless Or Totally Fine To Top A Burger With A Communion Wafer?